Providing scientific and methodological guidance about the system of hydrological observations in the Russian Federation. Developing methods and technologies for hydrological observations and data processing. 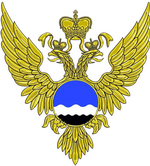 Conducting scientific-methodical inspections of Roshydromet Institutions, hydrological stations and posts in the Russian Federation. Performing an annual review of the functioning of the hydrological network. Updating the database of hydrological stations. Making conclusions about the possibility of opening, transferring, closing or changing hydrological stations.